Anyone else having issues with the Wharf Rat showing up as captured in your achievements? I got an unexpected uncommon Wharf Rat as a secondary in a battle with a Tree Python. I was on Jageuro Island, waiting for it to rain. Nice little surprise! Got a rare of this pet in Tol Barad. I have a few characters on different servers so I checked each server until I got one. I actually got my Wharf Rat in Booty Bay. 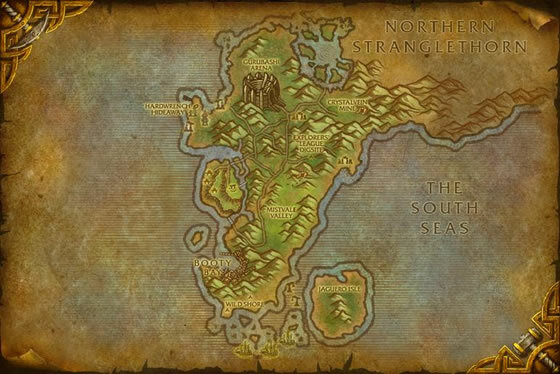 The map is a bit misleadiing. These little fellows can also be found on Jaguero Island and on the little Islands between Booty Bay and Jaguero. They sometimes spawn as seconds to the strand crabs. If you are like me, you need to capture this for the Eastern Kingdoms Safari achievement. I fought many strand crabs on the isle of jaguero, where baby apes spawn, and it DID spawn as a secondary pet there. The map marks it as spawning in Booty Bay, but I didnt see any there. Yea i got mine in TB EASILY.. Should put on there that u can get where everyone is saying. 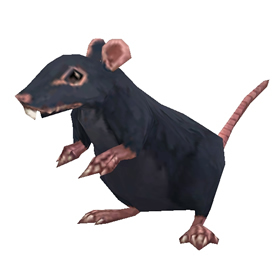 finally got my rat at 69.26 in the rustburg village in tol barad. thanks to who posted that was the best place to get it, i was out there for an hour and 15 minutes lol, when i did get my rare, i actually had 2 in the same battle lol. good luck. You really need to update the info about where to find those rats on Tol Barad. The Wharf Rat does appear as primary pets in Rustberg Village, and there are a lot of them. You wrote "only found as an added pet, may join battle" which is totally wrong. Tol Barad - Rustberg Village is definately the place to go. After having no luck in STV I headed off there and found loads. 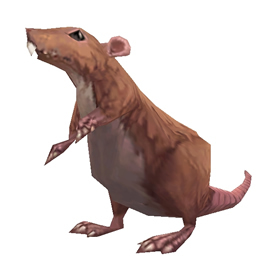 The mobs are easy to kill at level 90 and there are a fair few rats about and they respawn pretty fast too. Got a rare on my second circut of the village. Just tried the Tol Barad - Rustberg Village. If you are already 85+ this is definitely a better area to get them than Booty Bay. There were quite a few and I got a rare on 3rd attempt. Not many other people out there right now since MOP. Yup, agree they are in Rustberg Village in Tol Barard. Easy to get a rare with sides of squirrels. Replaced my level nine rare with a level 22 after the reduction. There are a few of these (level 22-23) in Rusberg Village, Tol Barad. They seem to respawn quite quickly. I got a rare brown one, and a common gray one - just need a rare gray now. I got mine on the savage coast near the nagas as well. I was going to clear out some of the sand crabs and wharf rat popped up as a companion to the first one I battled. As of 5.1, this guy's needed for the achievement. Eventhough I had one, it was not recognized in the achievement list. I set him free and captured a new one, earned the achievement. I got the rare version farming pet spawns on Jaguero Isle while waiting for the rain. 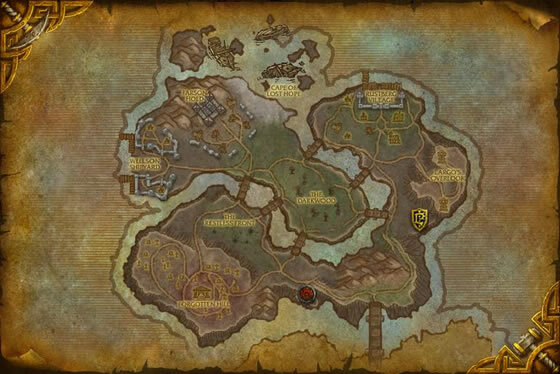 Earlier I was clearing Stranglethorn for the rare versions of various pets, Lizard Hatchling, Crimson Moth etc and found them but it took quite a while, in all about 2-3 hours. Farming Jaguero Isle all the rare pets turned up that i was finding hard to get. Just like the rough and tumble sailors who live dockside, the wharf rats are feral, violent creatures.